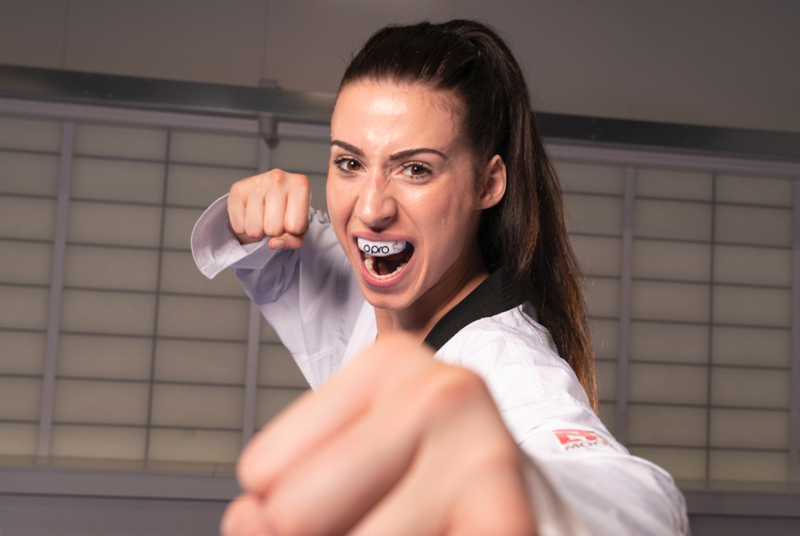 Double world taekwondo champion Bianca Walkden has agreed a deal with OPRO to become a brand ambassador for the mouthguard manufacturer. The announcement comes off the back of Walkden’s silver medal at the European Taekwondo Championships in Kazan earlier this month, where team GB finished their most successful European campaign, with seven medals in total. Bianca joins Great Britain women’s hockey Olympic gold medallist, Shona McCallin, former England women’s rugby player, Danielle Waterman, and British karate world champion, Jordan Thomas as an OPRO ambassador. According to OPRO, the partnership will foster a programme based on education and fun, with Bianca visiting schools in an effort to continue to build the profile of the sport in the UK. Walkden added: “For me, it really is still about inspiring that next generation. By 2020 our aim is to have 100,000 more girls moving through sport. I see our sport, in particular, as incredibly entertaining and fun – with OPRO’s support in educating youngsters on how they can take part in a safe way, I think we can really drive participation levels in the coming years. The school visits, which will also have the support of coaches and trained volunteers are all part of a greater push from OPRO to make sport safe through their mouthguards.